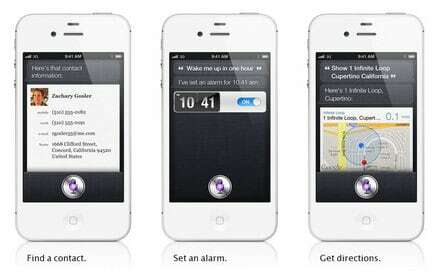 Home » iPhone Tips » iPhone Applications » iPhone 4S – Apple iPhone for Siri? The first Apple phone impressed by the concept of multitouch screen. The second brought us the long awaited support for high-speed Internet. iPhone 3GS increased the processing rate, and iPhone 4 raised the multimedia experience to a higher level (by implementing and launching the application FaceTime HD camera). There were not technologies invented by Apple at all, but the Cupertino Company’s merit was the way that has exposed. A very important contributory was the voice and stage presence of Steve Jobs. Keeping the exposure model “killer feature”, and iPhone 4S, launched in absence of Steve, managed to stir up a real frenzy among fans of gadgets. The world has almost forgotten about the new hardware of iPhone 4s and turned his full attention to Siri, the voice recognition software that promises to revolutionize the voice commands. Just at two weeks after launch, Siri was turned on all sides and exposed in every way possible: the object commands specific to business people, using natural language (like dialogue with another person), but funny situations (answer, result) – caused or intended. I read many reviews that have passed quickly over the design and practically the first thing they tried when they got to test the new iPhone 4S was evident Siri. But we calmed down quickly and we concluded that we have to wait until it will be an essential service (such as messaging for example) to use the phone daily. As applications, which is now in App Store, does not require even half the capacity of the new iPhone 4S. In other words, iPhone 4S is an investment for the future, a device that will meet the demands of 2012 and almost certainly in 2013.
iPhone 4S bring major improvements to the previous version, and especially those related to hardware. Even if Siri is now widely publicized, the voice control feature is more than a condiment, not a basic element of the Apple phone.